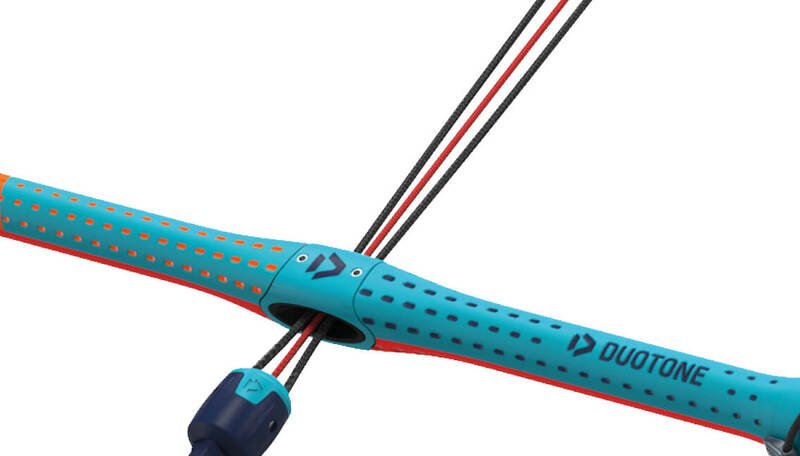 For 2019 the excellent Duotone Trust Bar guarantees the superior functionality that makes it one of the best and safest 4 line bars on the market. The chicken loops come in four different options; now additionally offered is a Quick Release Wakestyle Kit. When you buy your bar, you can choose the chicken that suits your riding style. 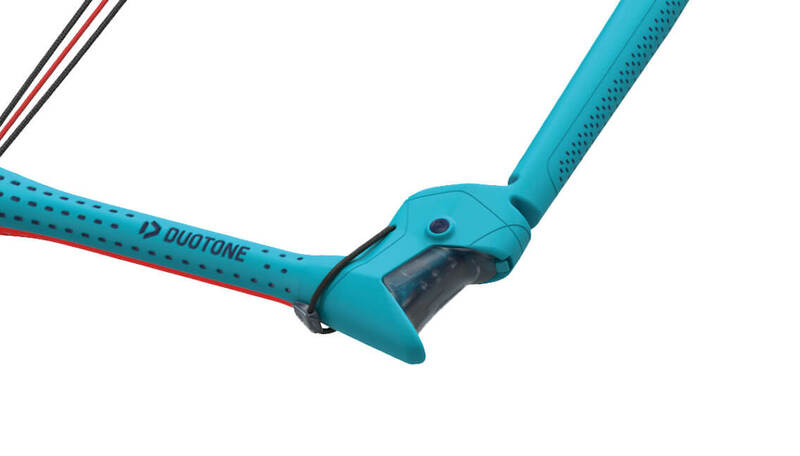 In 2019 the excellent Duotone Trust Bar is equipped with superior functionality that makes it one of the best 4 line bars on the market. The chicken loops come in four different options, now additionally offered is a Quick Release Wakestyle Kit. When you buy your bar, you can choose the chicken that suits your riding style. The industry leading Iron Heart IV safety system makes a welcome return; it is equipped with the addition of the Suicide Ring III. This new ring allows you to set up a suicide system while keeping the ring and the leash up and out of the way. 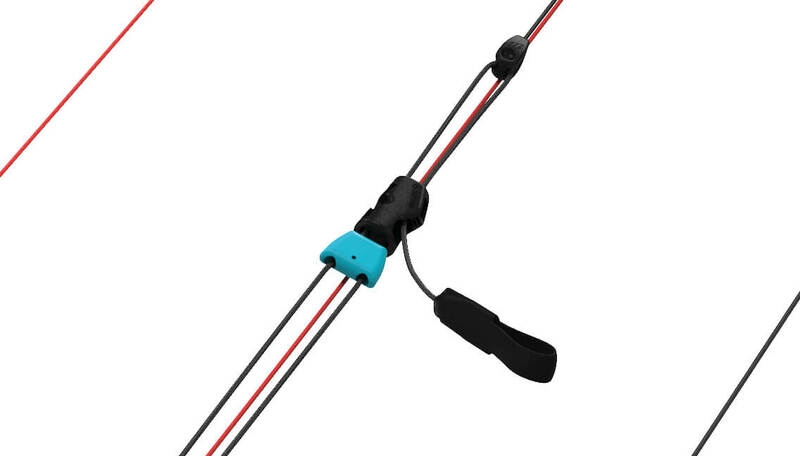 This increases your ability to quickly hook in and out after freestyle tricks. 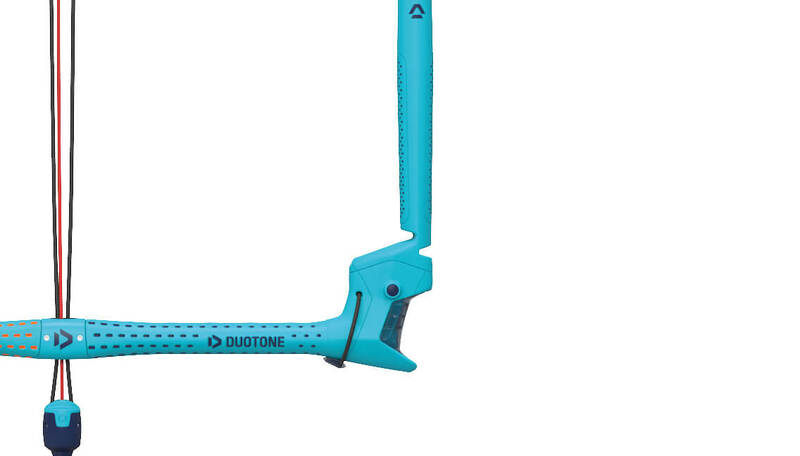 In 2019 you can purchase a Duotone 5th Element upgrade kit and turn the Trust into a 5 line set-up. The Vario Cleat and Sliding Stopper enable a quick and easy adjustment of the depower stroke. Especially interesting for smaller riders who have problems reaching the bar in the regular setting. The height of the Vario Cleat and Sliding Stopper can be easily adjusted to suit personal preferences. The reduced size combined with the smaller Vario Cleat accounts for 12% more depower area. The 5th line channel reduced the risk of the 5th line getting tangled considerably. The Winding Posts are made of fully molded fiberglass reinforced Polyamide construction, which offers an incredibly lightweight solution with increased stiffness. In addition to this, there is a molded EVA cushioning to ensure maximum comfort for the rider. The Winding Posts feature an integrated backline adjustment, which allows the rider to trim the rear lines when needed. Never ride without the cover. It prevents the knot from the leader line from slipping out of its housing. The molded EVA floater is fully integrated into the winding posts to offer a seamless connection, which gives better protection to the lines and the rider. The integration of the EVA floater also avoids line tangling and gives better overall stiffness between the bar and lines. In order to achieve better and more feedback on the thumb, we have added a new position for easy operation. The Flip-Flop function allows you to switch between a 53 cm and 46 cm bar width (M / L bar) and 49 cm and 42 cm bar width (S / M bar) with just one click. This makes the procedure for changing the bar set up far simpler. The exchangeable insert for the center hole is made of plastic to minimize wear on the depower line. The material we use is resistant to abrasion, and will cause much less damage, if sand is present, to the line itself. 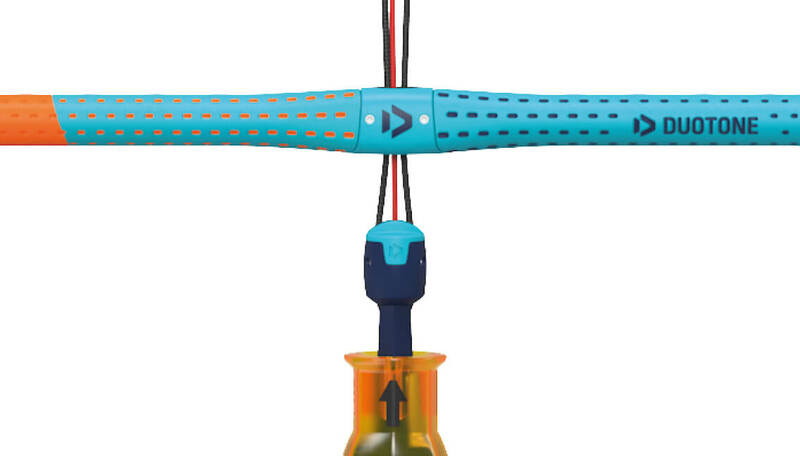 The Roto Head permits you to turn the lines after a rotational jump or a kitelope while you are riding. It is made from an extremely durable plastic construction where no corrosion is possible. The Roto Head comes with two screws and makes it easy to change the depower line. Simply use an FCS key to remove the screws and change the depower line. The Duotone Iron Heart is the benchmark for safety systems and we want to improve this essential piece of safety equipment. 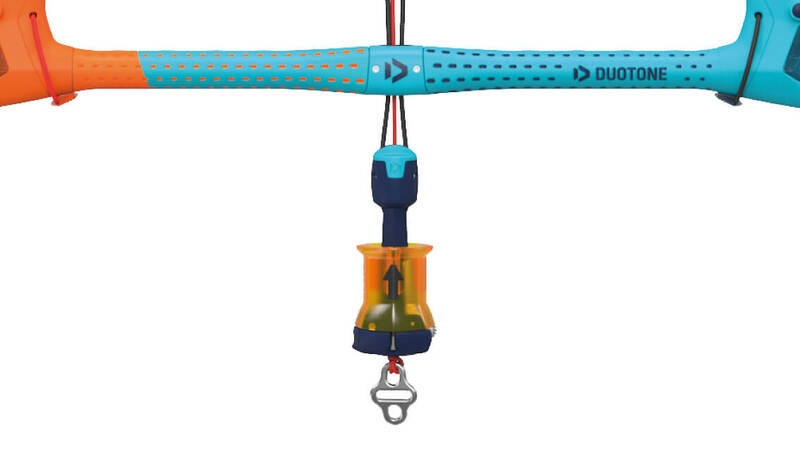 The length of Duotone flying lines can make a huge difference to the way a kite flies. Different styles of riding, different kite models, or the kite size are influencing factors that require different line length. In order to achieve maximum comfort and to receive the best performance of a kite, it is essential to the kite and the rider's style or riding to the correct line length! The recommended size for a bar!